John Jantsch has always been a bit of a hero of ours here at Customer Thermometer for his Duct Tape Marketing philosophy of practical small business marketing tools and techniques. Theory is one thing, but there’s nothing better than sound advice on the ‘doing’. 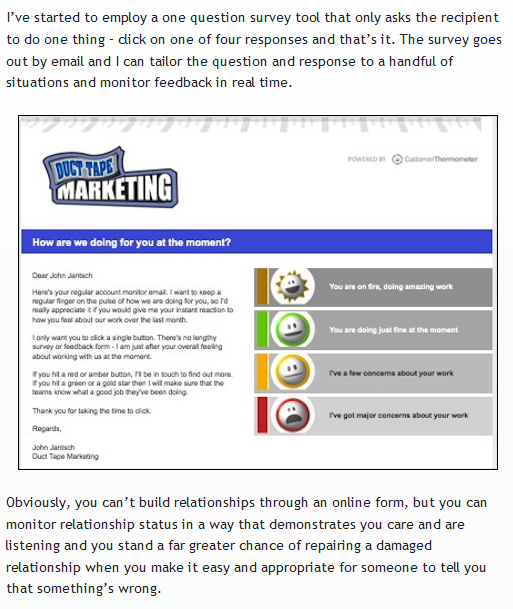 John is now a Customer Thermometer user and wrote this post extolling the virtues of Customer Thermometer and stressing the importance of using a tool like ours to monitor client relationships. 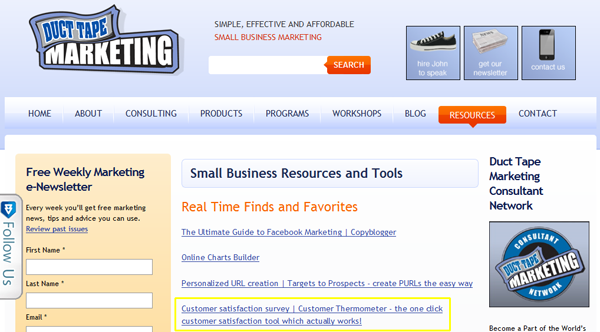 In addition, we were delighted (and slightly honoured) to find Customer Thermometer listed on his www.ducttapemarketing.com/resources page as a real time find and favourite.